First things first - to become eligible for our exclusive Trial Teams, you need to reach silver status. Not there yet? No problem! Learn how to reach the different levels and the exclusive benefits of being a beautyheaven member. How do I get invited to be on the Trial Team? Sign up to beautyheaven to become a member! Make sure you complete your full profile as you will be invited to trial and review products based on your beauty profile preferences. Work your way up to silver status. You can earn points in so many ways! Raid your beauty cupboard and start reviewing your HG products…you’ll be surprised how quick the points will start to stack up. Comment on articles, referring your friends and participating in the forums with like-minded beauties are all ways to build to earn points for doing what you love. Once you have earnt enough points to reach silver status or above you will then be invited to become a Trial Team member. 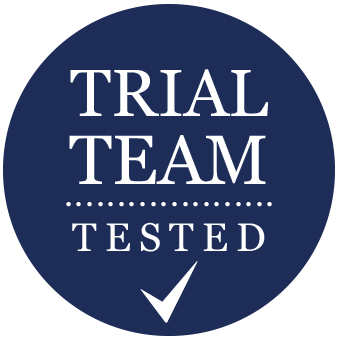 The beautyheaven trial team will reach out to you via email to invite you trial and review exclusive products…make sure you keep an eye on your inbox! What kind of products can I expect to trial? The Trial Team tests out a huge range of products and treatments, from BB creams and foundations to shampoos, lipsticks, moisturisers and many more beauty treats. Always ensure your profile details and beauty profile are up-to-date otherwise you may miss out on trials and beauty events relevant to you. How long do I have to trial a product or treatment? Depending on the product or treatment, you will have anywhere between 1-5 weeks to trial it and submit your review. How many times can I expect to be on a trial? The beautyheaven Trial Team is a large and ever-growing community of beauty lovers, however we do try our best to ensure that everyone is given an equal opportunity to trial and review products. *To become eligible for our exclusive trial team you need to reach silver status.